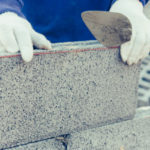 Tuck Pointing, Brick and Chimney Repair Toronto | Turnbull Masonry Ltd > Blog > Blog > Should I Be Worried About Stair-Step Cracks on My Brick House? Stair-step shape cracks in masonry may signal an underlying issue, including the potential for foundation issues. These types of cracks are a larger concern if they are accompanied by a bulging wall, or if the crack measures more than ¼-inch wide. A house that sits on a hillside is more likely to have stair-step cracks. That’s because the earth tends to move more on a hillside. This movement may be incredibly slow, but it can still cause cracks to surface over time. Brick homes very commonly show cracks in mortar joints or the actual brickwork. Most cracks are minor and little cause for concern. Plus, there are simple repairs available to seal them up and prevent them from worsening or leading to issues. 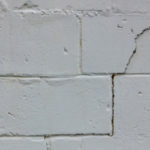 In some cases, cracks may signal more serious issues such as a foundation problem. 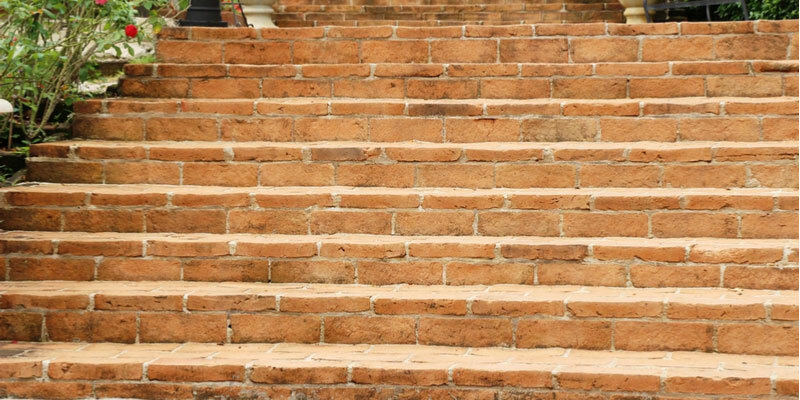 Stair-step cracks are commonly associated with foundation issues. 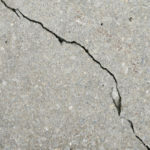 These cracks may appear on exterior or interior walls, including crawl spaces and basement walls. You may also notice a related crack on the adjacent wall corner. The chance it relates to your foundation increases if the crack reaches down the footing of your home towards the foundation. 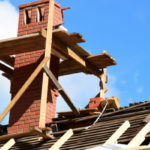 This can signal that a portion of your home is settling faster than other parts. If this is the case and it goes unfixed, the issue will continue to expand into sagging or bulging walls, sloping floors, or misaligned windows and doors. It’s nearly impossible to know if stair-step cracks are a real cause for concern unless a professional inspects the building. It is possible that nothing needs to be done. Yet, if a certain action is required, it’s important to take care of it as soon as possible. The cause often boils down to moisture issues, or excess pressure on a certain part of the wall. This could be caused by gutter issues, or some type of fault in your drainage system. Therefore, moisture is not traveling away from your home’s foundation as it should. Instead, it is pooling and expanding the soil around the base of your home. Thus, creating a lot of pressure. Will Patching Stair-Step Cracks Work? No matter what, you cannot address the root of the issue by simply patching it up, or filling it in. This is a short-lived cosmetic fix and you are sure to see the crack return. Before patching cracks, it’s important to identify and address the cause of the crack. Just because your home has stair-step cracks doesn’t necessarily mean you need to make serious repairs right away. Although, it’s important to isolate the cause of the cracks and move in a proactive direction to prevent worsening of the problem. Having a professional mason out to inspect the crack is key to preventing issues from getting out of hand. If you recently purchased your home, be mindful of cracks that have been patched several times. This can indicate ongoing movement that has been “fixed” with a Band-Aid. The grading around the exterior was recently altered—these changes may have stopped the problem from worsening. Or rather, movement of the foundation has been ceased and can no longer continue. Cracks are small and measure less than ¼-inch wide. Still, even if cracks aren’t a huge concern, it’s worth having them checked out to ensure there isn’t an underlying issue. With foundation issues, it’s always best to catch them early on before you require an entire foundation rebuild.